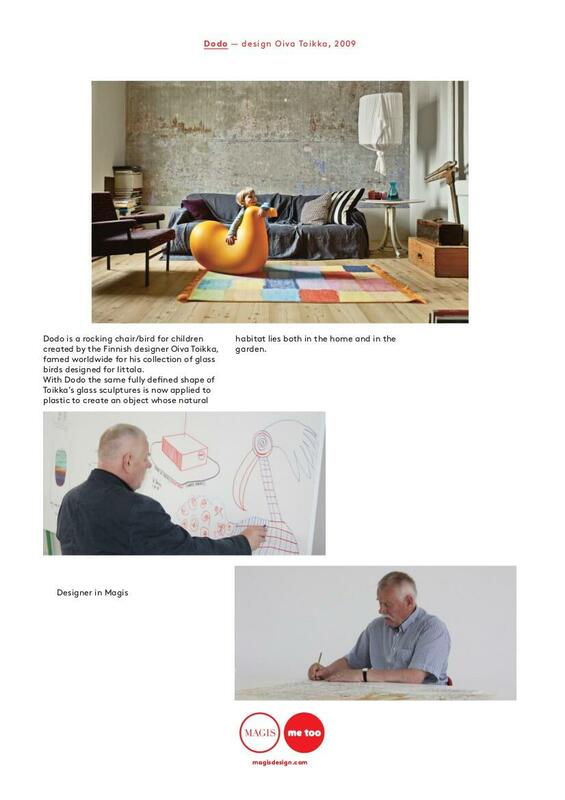 Oiva Toikka designed the rocking bird Dodo in 2009 for the Italian manufacturer Magis. 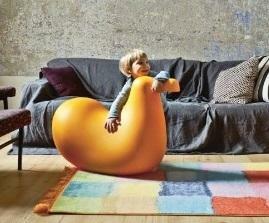 The rocking Dodo updates the traditional rocking horse and is contemporary in both shape and colour. The durable material meanwhile means that Dodo is also the prefect playmate for the garden or other outdoor areas. Datasheet Please click on picture for detailed information (ca. 1,1 MB). 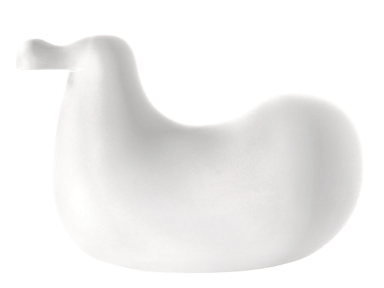 The Finnish designer Oiva Toikka designed the rocking bird Dodo in 2009 for Italian manufacturer Magis's Me too collection. Trained as a ceramist Oiva Toikka is famous for his Finnish glass art, a particularly focus of which is his glass bird collection, a collection of objects much sought after by collectors. It is perhaps thus no surprise that for a Me too object for Magis Oiva Toikka choose a bird as model. The rocking bird updates the traditional rocking horse and in addition to its functionality is a very cute, playful design. The robust material means that children can play with Dodo in the garden while the round shape and soft curves means the risk of injury for children is kept to a minimum. The toy is in addition home trained and fits harmoniously into any nursery and makes the perfect pet substitute.